Overcooked's Ghost Town Games: "We now have our own desks"
Last year, GamesIndustry.biz met Ghost Town Games in a spare room in Cambridge. This is where Overcooked was made by Phil Duncan and Oli DeVine, barely a few minutes down the road from their old stomping ground at Frontier Developments. The two shared a desk, with dev kits and equipment crammed into whatever corner they could find. 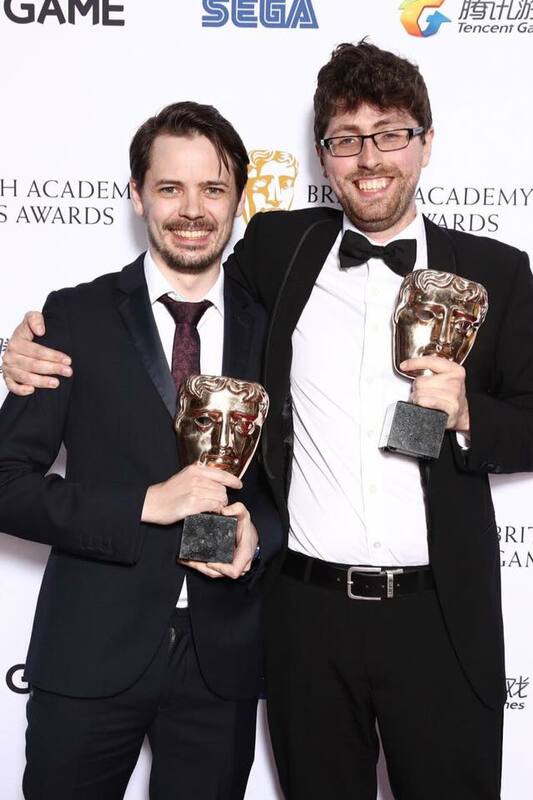 They still appeared as if they were struggling indie developers living on their savings, albeit with two BAFTAs on the shelf. Overcooked was a success by that point, but the team was still tinkering with it in the wake of their BAFTA triumph. DeVine had proudly pointed to the Switch dev kit not-so-hidden under his desk. They felt Nintendo's new console might be a good fit for the game. They were right. By April 2018, Overcooked has sold over 500,000 copies on Switch alone, with Nintendo proudly declaring the figure during its full year financial results. It was such a good fit for Switch that Nintendo agreed to announce its sequel during its E3 press briefing. 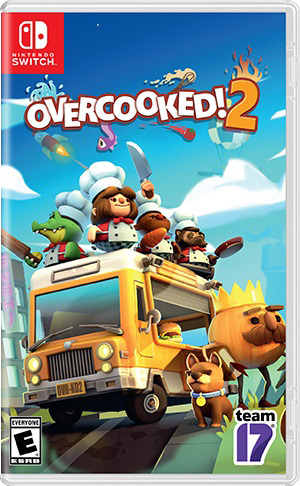 Alongside Fortnite, Overcooked 2 was pretty much the only third-party announcement of note to take place during Nintendo's video. "It was the result of months and months of conversations," Duncan explains. DeVine adds: "These things don't get decided until close to release. So we thought this was probably not going to happen." Duncan again: "It was nice that they were talking to us. It was very sweet. But we didn't believe... It came together very quickly in the end. "We were in our hotel. We were all watching it together before we went to the Convention Center. So we all had our collective breaths held until Reggie did his bit. I felt a bit faint afterwards." With millions in revenue, multiple major awards and a starring role at E3, you'd be forgiven for thinking that things have probably changed quite a bit for Ghost Town Games in the 18 months since we last spoke. "We thought [the Nintendo E3 reveal] was probably not going to happen." "Well we're now in sunny Manchester," Duncan admits. "With a nice office on the third floor rather than a room on the second floor." DeVine continues: "It's still in Gemma's house, we just now have a dedicated floor. But everyone has got a desk now. It's a real step up." DeVine quips: "And we now have a work bookcase." "We still think this is special for us," says Gemma Langford. "Oooooh look. A room of our own." Gemma Langford is officially the new member of Ghost Town, although she was around when we visited last year. Back then she was the secret, unofficial member of the team, helping out with the admin and doing bits of writing. 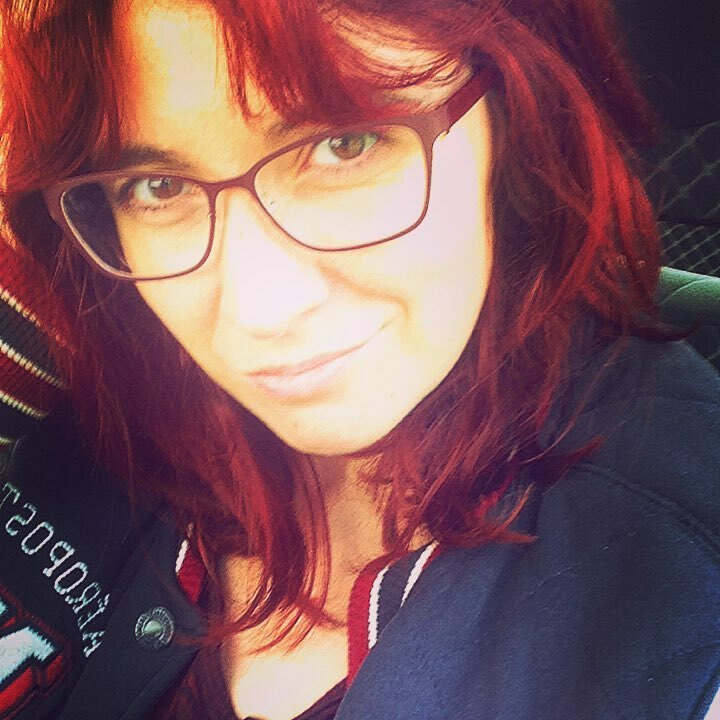 Now she's a fully fledged employee, acting as chief writer on Overcooked 2, and handling different areas of the business, from community management to merchandise. "I am a playwright, and I'm writing a radio play at the moment," she explains. "It's coincided with the admin that I was doing for Phil and Oli, really. They were asking me to write this bit and that bit, and eventually it was like, can you write the whole thing? "It's really exciting. This is my first games release as a writer. All my theatre people don't know what to make of it." Duncan jokes: "We've expanded 50 per cent since we last spoke"
Despite the slightly expanded team, Ghost Town Games is resolute in its promise not to get bigger. "We just want to make stuff that's weird and experimental," says DeVine. "We would certainly like to do stuff that is way off to the side of what Overcooked is like." Duncan agrees: "It's not going to be a thing where we become this big 20, 30-person studio. We have no interest in that. We've done the AAA thing. We've done smaller 30-person teams within that. This works so well. It gives us all the perks without all the stress." What has enabled Ghost Town to think bigger but remain small is its partnership with Team17. The developer and publisher came in late to handle the PR and marketing for the first Overcooked, but this time it's involved in the development and helping add things that DeVine and Duncan couldn't manage with the original. 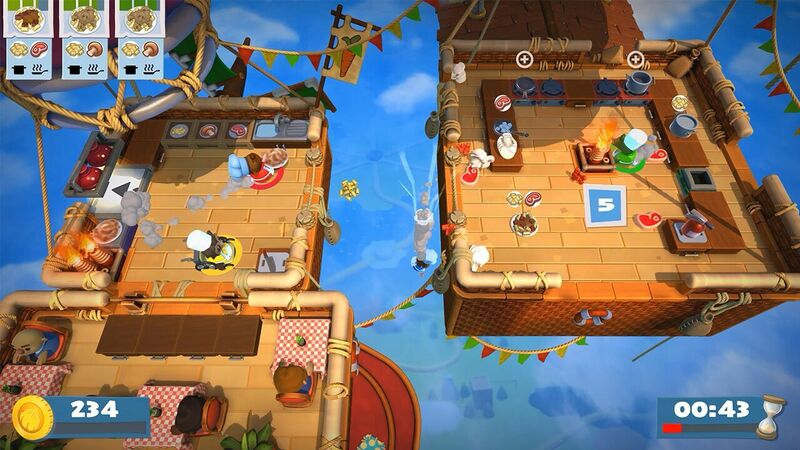 The first Overcooked was notable for not featuring online multiplayer. At the time it was so Ghost Town could focus on what it viewed as the heart of the concept - local multiplayer around the same TV. But that opinion has wavered slightly. "We've always said the best way to experience the game is playing it together in the same place," says Duncan. "But we got so many messages from people... It wasn't something we had considered when making Overcooked 1, but some people just didn't have that opportunity [for local play]. We had emails from people saying that their brother is stationed overseas, or they have friend who has moved abroad and that they'd love to be able to play the game together. I think that changed our opinion a bit. We are still obviously big fans of local multiplayer games, but it feels wrong to rob people of that opportunity." The problem is that online multiplayer is a big, challenging thing to add, particularly to a team that has little experience with it. DeVine estimates that if they'd added networked play into Overcooked, the game would have been a quarter of the size that it is now. This is where Team17 felt it could help. "Freedom is really important to us. Freedom to make our own mistakes, and to prototype things quickly"
"We had been talking with Team17 and Debbie [Bestwick, CEO] about it for quite a while," Duncan says. "One of the things that they were keen to prove to us was that online multiplayer was something they could add in. So they did some early prototypes." DeVine continues: "They did an online networking demo to show us how it could work. And we were like ok, we can roll with that. So we started the process of bouncing ideas around about things that we wanted to add to the game, which included things we couldn't do on the first Overcooked because we ran out of time." This included dynamic levels, which Ghost Town didn't feel capable of introducing into the first game due to how much art would be required. With the Team17 developers at its disposal, this was suddenly possible again. "Freedom is really important to us," Duncan says. "Freedom to make our own mistakes, and to prototype things quickly. Having Team17 there, particularly because we had built-up this relationship with them as a publisher, it seemed like a great opportunity to share Overcooked without having to worry about the admin side, or suddenly having to manage huge teams of people. It was nice to have that freedom of stepping aside and letting another group come in and bounce ideas off of, rather than having to manage it from the top." Another aspect that Team17 has brought to Ghost Town is usability. When creating the original Overcooked, DeVine and Duncan travelled from convention to convention where they demoed the game to the public, received feedback, and went back and changed things. This time around, with Nintendo insisting on secrecy, Ghost Town couldn't just show up to EGX with it. Although the core Overcooked concept had been nailed down, usability testing was still vital. The first game had found a family audience, despite having quite a steep difficulty curve. As a result, Ghost Town has been determined to keep the game accessible - something that might prove tricky with all the new mechanics and advanced levels. "Janey runs [Team17's usability team] and she was able to get a lot of families in to come play the game in their offices," Duncan says. "She also went out to schools and got people playing. So we got all these videos back, and written reports of their scores." DeVine continues: "With this one we have been trying to keep it a lot more secret until the announcement. It's mainly a press thing, right? It's about making as much of a splash as possible, so that meant doing a lot of our testing in secret. With Overcooked, we could go around conventions and testing stuff because..."
Devine: "[Laughs] Yes, nobody cared. So it was fine. But with this one we had to be really careful." Duncan: "I am surprised that no child broke their NDA. I don't know if it was them that signed it? Or if it was the teachers?" Devine: I don't even know if an NDA was involved. We basically went to the schools and asked them not to say anything. And that actually worked." Another new element for Ghost Town since we last spoke is the appearance of Overcooked merchandise. "I don't know if anyone is actually buying it," jokes DeVine. Duncan adds: "I'm wearing an Overcooked t-shirt." "Watching these guys develop from the outside, they're much braver now. That probably comes from not being down to your last £13 in your bank account"
DeVine: "Well yes, I guess we're buying it. A lot of the merchandise stuff was driven by us thinking it would be really cool to have some pin badges. Then it became a t-shirt. Then maybe a plushie. "We'd get constantly asked about the t-shirts we're wearing at conventions, but we genuinely only got two of them printed. It wasn't a thing. We have such a great community and they're very vocal. We wanted to reward them. We wanted to run competitions and send out prizes. It evolved from that, but a lot of that has been Gem's doing." Langford says: "Last Christmas, people said that they'd like to buy their girlfriend a t-shirt. We were like, really? So I had to send so many emails back saying sorry and that we were confused by their request. Hopefully this year there won't be so many disappointed people." We suggested that merchandise can be a good way of making a game feel more like a franchise, even if it's just getting started. "Oh that's good. Let's change our answer. That's why we're doing it," quips DeVine. Despite huge sales, the big sequel reveal and the new home in Manchester, Ghost Town Games seems pretty unchanged. Yet things must be a little different. Two years ago they had just £13 to their name, and now they're a Nintendo best-seller. Surely more has changed than some new desks and a bookcase? "Oh we have a fridge," Langford answers. Duncan again: "In terms of how we develop games, and the things we are passionate about, that's the same. But I guess there's a bit more confidence now in terms of the basics of making a game from scratch." DeVine: "We will be more ambitious about where we go next. Because Overcooked has been so nicely received, it's actually given us a bit of freedom to experiment. Hopefully, going forward, we will do something a little bit crazier." Langford concludes: "Watching these guys develop from the outside, they're much braver now. That probably comes from not being down to your last £13 in your bank account."